ZANESVILLE, Ohio – Welcoming the new President of the Fraternal Order of Police in Zanesville. 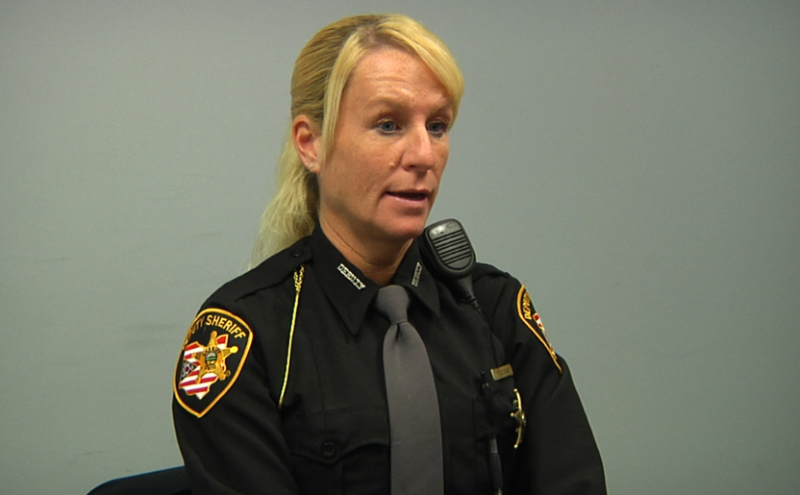 With the support of the members in the Lodge and fellow Officers, Brandi Seckman, a Sheriff’s Deputy for Muskingum County, was chosen as the new FOP President. The Fraternal Order of Police is the largest organization of sworn law enforcement officers committed to improving the work conditions of law enforcement. Deputy Brandi Seckman is the first female President of FOP Zane Lodge #5. “I’m really honored to be the President of the FOP Lodge. Obviously honored to be the first female. Really excited about what this year’s going to bring, and being a part of it,” said Dep. Seckman. As President, Deputy Seckman will represent Zane Lodge #5 by overseeing the monthly meetings the Lodge holds and the special functions they host. She said the community was a big inspiration for joining the FOP Lodge. “The Lodge was kind of my way of giving back to the community. We have the F-O-P-A, which is our Associate Lodge. We team up with them every year and do Shop With a Cop. We do the Senior Citizens Dinner. Those are ways that we give back to the community,” she mentioned. Deputy Seckman’s term as FOP President is one year. To be a member of the Fraternal Order of Police, you must be a full time employed law enforcement officer.